The World Economic Forum’s Global Agenda Council on Emerging Technologies identifies recent key trends in technological change in its annual list of Top 10 Emerging Technologies. Emissions from the world’s rapidly-growing fleet of vehicles are an environmental concern, and raising the operating efficiency of transport is a promising way to reduce its overall impact, the report from the World Economic Forum’s Global Agenda Council on Emerging Technologies. New techniques to nanostructure carbon fibres for novel composites are showing the potential in vehicle manufacture to reduce the weight of cars by 10% or more, it says. Lighter cars need less fuel to operate, increasing the efficiency of moving people and goods and reducing greenhouse gas emissions. Another area where carbon composites can help is improving passenger safety, the Council notes. To increase the strength and toughness of new composites, the interface between carbon fibres and the surrounding polymer matrix is engineered at the nanoscale to improve anchoring – using carbon nanotubes, for example. In the event of an accident, these surfaces are designed to absorb impact without tearing, distributing the force and protecting passengers inside the vehicle. Taken together, these three elements could have a major impact by bringing forward the potential for manufacturing lightweight, super-safe and recyclable composite vehicles to a mass scale. A third challenge, which may now be closer to a solution, is that of recycling carbon fibre composites – something which has held back the widespread deployment of the technology, the report says. New techniques involve engineering cleavable 'release points' into the material at the interface between the polymer and the fibre so that the bonds can be broken in a controlled fashion and the components that make up the composite can be recovered separately and reused. 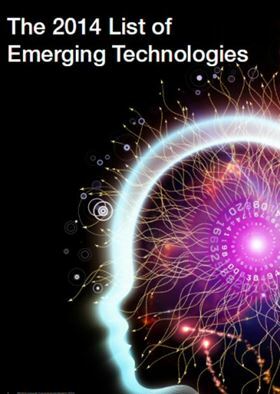 The World Economic Forum’s Global Agenda Council on Emerging Technologies is composed of top experts on new technologies around the world, representing both the academic and business world. By highlighting these technologies breakthroughs, the Council aims to raise awareness of their potential and contribute to closing gaps in investment, regulation and public understanding. Linde AG says that has been included in the Dow Jones Sustainability Index (DJSI World und DJSI Europe) for the sixth consecutive year. Linde AG reports that it has been included in the Dow Jones Sustainability Index.